Talons team officials have been dismayed recently. Apparently, the scouting service (OSA) that the BBA uses to provide player ratings has decided to completely change their ratings structure, mere weeks before the trade deadline. While this move has had some obvious cheerleaders, willing to write whole essays in the comments section of any post discussing the topic, other BBA GM's aren't so sure. 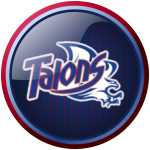 "I've noticed that more than a few of my fellow GM's have been, for lack of a better word, confused," Talons General Manager Sean Marko said. Yeah, you've got your proponents. And they will type volumes as to what exactly was changed. But not one of them has answered a single question. WHY?" "Why now? In the middle of the season? Weeks before the trade deadline?" he continued. "I thought the trade deadline was supposed to be an exciting time of wheeling and dealing as teams prepared for the stretch run. But something tells me that you won't see that many deals this season. Because GM's will be so busy trying to re-evaluate their entire organization, in August, no less, that they won't have time to work on trades. Especially for players that just don't LOOK as good as before." "I mean, I remember when big changes like this were prefaced by a poll of GM's to see whether this should have even been implemented, and especially the timing of said implementation. Used to be, there was some input from the rank and file before things were thrown into a turmoil because a couple people thought that the ratings didn't 'look' right. But I guess the league can just change things whenever it wants." He concluded: "I know I sure as hell won't be able to trade for anyone this year. I mean, the players on the block looked bad before the changes. Now they all look even more like total crap. I'm not going to give up top prospects for some 5/5/6 scrub pitcher!" We ended up cutting him off before the rant could get too off base, but you get the picture. Guess the Talons are doomed to finish the season with the team they have, which, by the way, now looks even worse than before! As Team New Fan Club President and as person noted to never say with ten words what can be said with a hundred (or a few hundred), I feel like I should leave a lengthy response. I'm tired though. Technically, it will always be the case with relative ratings that many gaps between ratings will look smaller (or disappear). Especially if they actually make them truly center on average. In many ways, it makes paying attention go stats more valuable.